Are You Consuming Enough Minerals and Vitamins? Need to eat more vegetables and fruit? Learn how to cook veggies, prepare tasty fruit dishes, and make yummy health shakes. 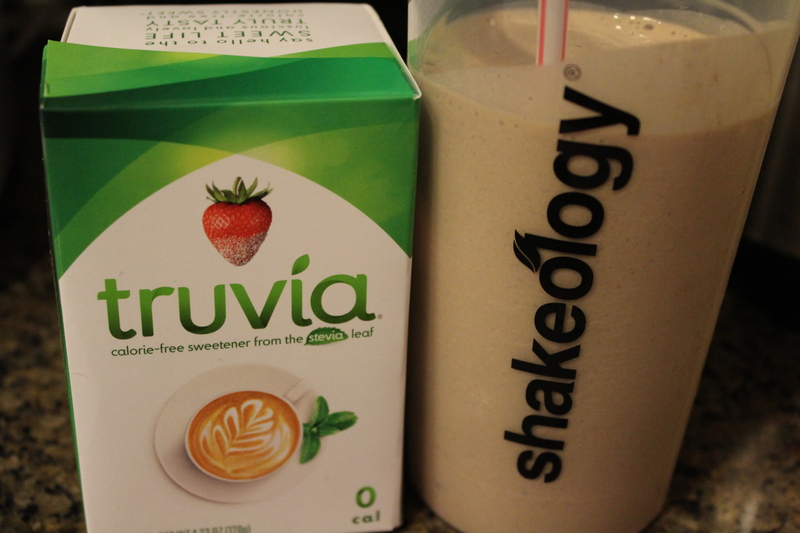 Try a dietary supplement drink with a vanilla, latte, or chocolate flavor and blend with frozen strawberries or a banana. Making nutritious smoothies, or juicing, is simple to do and a great way to include your needed daily nutrients. Making nutritious smoothies, or juicing, is nothing new but still is a healthy way to include the nutrition that comes from vegetables and fruit in your daily diet. Wondering if juicing is the healthiest way to go? Kari Hartel gives the pros and cons to juicing. You can purchase protein powder at your local organic store or grocery market. Look around for the best price. I’ve tried three or four brands, one on a detox program that had an undesirable taste. However, including beet, carrot, or spinach in the protein/smoothie made the drink more palatable. I was raised in the South on vegetables and fruit from the garden, and I liked them. I still do. However, a lot of my friends like to eat fruits but don’t care for vegetables or have never tried some of them. They usually tell me they don’t know how to cook them or the vegetables don’t taste good to them. My paternal grandmother and her sister, Ruth, taught me a trick to cooking vegetables. Add butter (real butter, not margarine) and a tablespoon of sugar. Following their advice made vegetables taste much better to me. The butter and sugar make vegetables like yellow summer squash, sweet green peas, and Brussels sprouts taste more flavorful. Perhaps you do not use sugar and butter and need an alternative for those sugary and buttery veggies. Try Earth Balance products like the organic whipped buttery spread. Instead of sugar, use honey or pure maple syrup. Vegetables that are overcooked become mushy and taste awful. It’s no wonder that many people hate veggies if they’re eating a bowl of mush. Add enough water to cover the vegetables, and bring them to a boil on high for five minutes then cover and cook on simmer. Root vegetables take longer to cook, so check the Internet for the vegetable you’re cooking to see how long to boil it. Try my grandmother’s and Aunt Ruth’s vegetable trick. You might decide you like vegetables after all. But try out the smoothies. Be sure to add protein powder or dietary supplement to them, and only use half the amount of fruits as you do vegetables. Add water to the blender. Slice banana, beet, and carrot. Add the vegetables, fruit, cinnamon, and protein powder/dietary supplement with the water in the blender (or juicer). Vegetable and fruit smoothies are good to drink if you include a balanced amount and the fiber. For instance, I use the apple peeling instead of discarding it. That adds fiber. Sometimes I mix a few vegetables together and cook them on my griddle. You may prefer to eat your food, not drink it in a shake. Some people say they don’t like to replace a meal with a dietary supplement drink because they still feel hungry after drinking the shake. But it’s possible that they feel the craving for chewing and tasting the food itself. So consider drinking a shake to be sure you’re consuming the needed amount of daily nutrients and minerals, then eat a side of vegetables. Actually tasting the flavor and texture of the food can help give you that satisfaction of eating a meal. Smoothies and warm weather go better together in my opinion than in cooler seasons. When it’s cold, the last thing I want is a shake. But once spring arrives, bring on the smoothies! My Dad didn’t like asparagus or Brussel sprouts until my mom roasted them in the oven. You should try it sometime. Your website is nice. Someone else mentioned last week to me about roasting Brussels sprouts in the oven. I must try that. I don’t remember my mother cooking asparagus or Brussels sprouts when I was growing up. Brussels sprouts are among my fav vegetables! Cut them in half, boil them with a little sea salt and some butter – tastes wonderful! I have to give that recipe a try! 1. Juice vegies, blend fruit. 4. For fast juicing, stick with staples and add no more than 2 additions. 6. Make sure I eat salad at another meal during the day. 7. Use pulp from juicing in my worm farm! My new recent fav is pineapple and spinach in a blender on high for 3 min. Serve over ice to cool after blending. DELISH! Try watermelon and mint…so refreshing!! Tell me more about your worm farm! I have tried pineapple in my veg smoothies and am craving that again. Pineapple, strawberries, and bananas are my fav fruits to use for the smoothies. I prefer spinach over kale. Kale doesn’t seem to blend smoothly enough for me, so I stick with the spinach. Great juicing suggestions! I love fruit and vegetable smoothies, and I really like that new plug in you have on your website. It makes it so much more convenient to print out your recipes. I always add a little bit of ice to mine, too. It makes them icy cold and delicious. Also, I prefer to use a heavy duty blender instead of a juicer. When you use the juicer, you use all of that fiber in the vegetables. If you use the blender, you emulsify everything, but still have the fiber. Good combination. In the summer I often put ice in, too. I also use a blender which works just fine. No need to get a juicer because I don’t “juice” every day. Thank you for your input.